The music world lost one of its greats on Friday, April 5, 2019, when violinist Pavel Farkas, passed away at the age of 77. Mr. Farkas was a loving husband, devoted father of three and proud grandfather of 11. 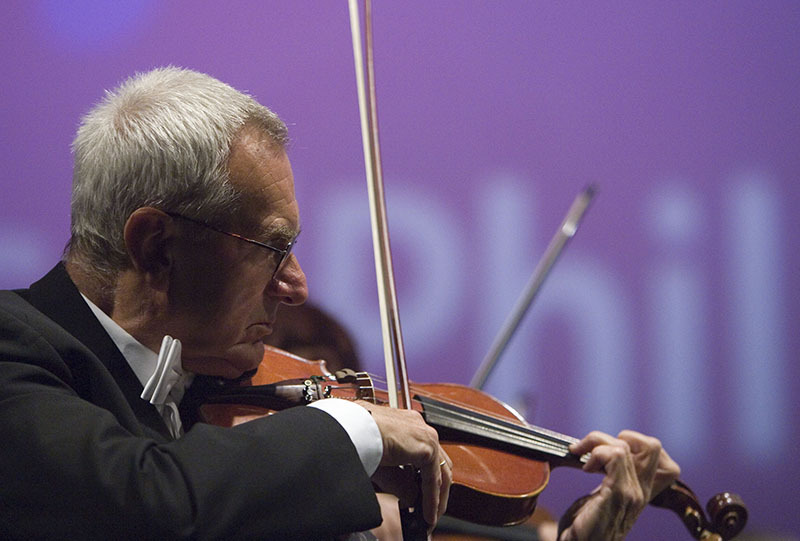 A native of Bratislava, Czechoslovakia (now the Slovak Republic), born in 1942, Pavel Farkas joined the Bratislava Radio Symphony Orchestra at the age of 17, and only five years later became its concertmaster. Always one to explore the world through music, Farkas held the position of concertmaster in orchestras including the Mexico City Philharmonic, Osaka Philharmonic, Dutch Radio Philharmonic, Redlands Symphony, Pasadena Pops and the orchestras of the Bolshoi and Joffrey Ballets. 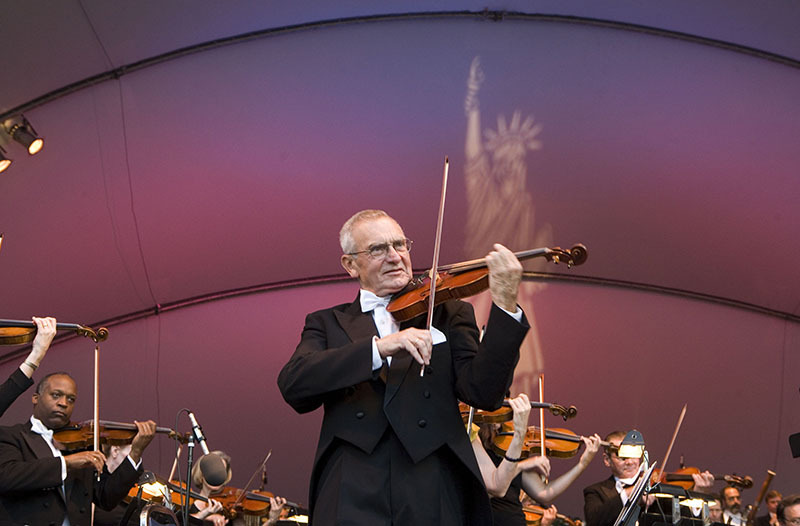 Farkas was the founding concertmaster of the California Philharmonic, Pacific Symphony, was the leader of the Slovak Chamber Orchestra and a member of the first violin section of the Los Angeles Philharmonic. As a soloist, Farkas performed with orchestras in Russia, Germany, Holland, Japan and the People’s Republic of China. He was also an in-demand studio musician in the entertainment industry. His playing can be heard on numerous Grammy-winning recordings with artists including Whitney Houston, Linda Ronstadt, Aaron Neville, Cher, Barry White, John Williams, Maurice Jarre, Michelle Legrand, Lalo Schifrin, Smokey Robinson, Diana Ross, Earth, Wind and Fire and the Police. 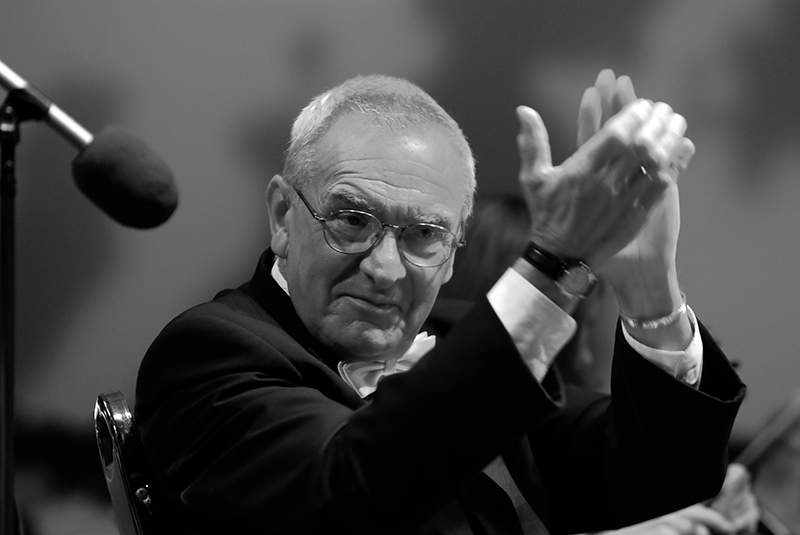 His credits include film scores for the movies Titanic, Ghost, Dances with Wolves and many other Hollywood blockbusters. He also worked in the recording industry as a contractor and served a stint as Music Director for Motown Records. Mr. Farkas was also a lifetime member of American Federation of Musicians Local 47. 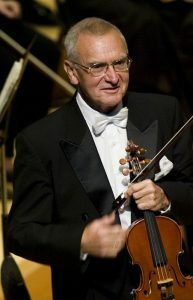 In addition to his performance career, Mr. Farkas was the Artist Professor Emeritus of violin and orchestra studies at the University of Redlands School of Music. Prior to his when music career took flight, Farkas was a nationally-ranked amateur light-heavyweight boxer in Czechslovakia. Pavel was also an avid history buff, with a particular love for learning about America’s Old West, which made California a fitting place for his emigration to the United States. His love of American culture, and of Steve McQueen in particular, spurred his first car purchase in this country—a Ford Mustang. Mr. Farkas is survived by his wife Gudrun Farkas, sons Pavel Jr., Stephen and Michael, stepdaughter Sabine Vener and stepson André Vener, 11 grandchildren and his beloved dachshund Oscar. There will be a graveside service for Mr. Farkas at 3 p.m. on Monday, April 15 at Mountain View Cemetery, 2400 N. Fair Oaks Ave., Altadena. This entry was posted in Final Notes / In Memoriam and tagged Final Notes, Pavel Farkas on April 11, 2019 by admin.